Named after the Roman goddess of love, Venus is anything but lovable. This planet is nearest to Earth. It is also about the same size as Earth. But that’s all the two planets have in common. Venus’s surface is thick with carbon dioxide. This gas traps heat from the sun, making the planet unbearably hot. Venus is 900 degrees or more! All about Venus, nearest planet to Earth. It is also about the same size as Earth. Thick clouds of sulfuric acid swirl around Venus. Sulfuric acid is a powerful acid that can melt just about anything it touches. The acid is as powerful as the acid found in a car battery. Imagine trying to breathe on Venus. Yikes! 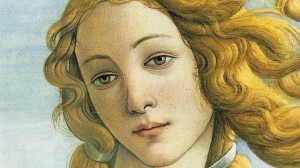 Venus is named after the Roman goddess of love. 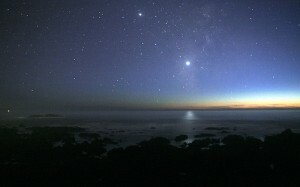 Venus is sometimes called the morning or evening star. Look for it at dusk or sunrise. It looks like a large, red star. This inhospitable planet has a molten core made of iron and metal like Earth. It has over 100,000 volcanoes. The largest volcano is over 5 miles high. Huge cracks and crevices cover some parts of this planet’s surface. Venus rotates in the opposite direction of Earth. The sun rises in the west and sets in the east. One day on Venus is as long as 117 earth days. Because of Venus’s hot, deadly atmosphere, astronauts have never landed there. All the probes that have landed have been destroyed within a few hours. A video documentary about Venus’ surface and atmosphere. 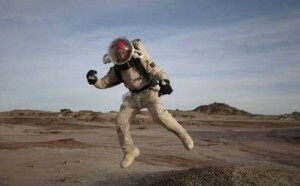 Question: Have astronauts landed on Venus? Answer: Because of Venus’s hot, deadly atmosphere, astronauts have never landed there. All the probes that have landed have been destroyed within a few hours. Question: Could humans ever live on Venus? 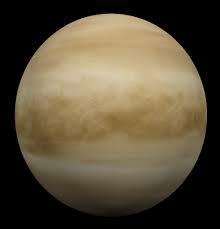 Answer: Venus is sometimes called Earth’s sister planet, but chances are, no humans will ever live there. Enjoyed the Easy Science for Kids Website all about Venus info? Take the FREE & fun Venus quiz and download FREE Venus worksheet for kids. For lengthy info click here. Declan, Tobin. " Venus Facts for Kids ." Easy Science for Kids, Apr 2019. Web. 21 Apr 2019. < https://easyscienceforkids.com/all-about-venus/ >.